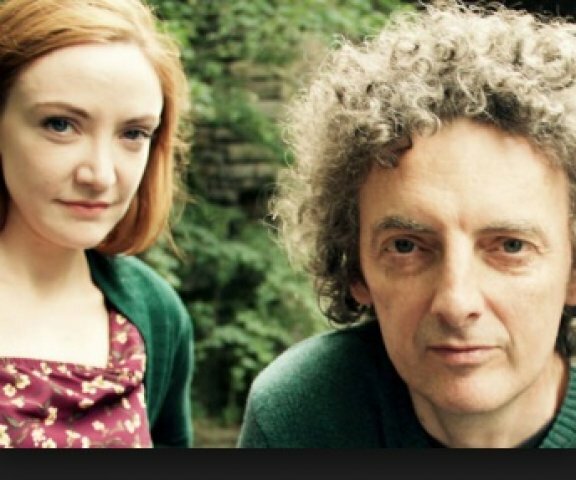 Sarah Sweet and John Keating magnificent as Josie and Francis in The Naturalists. A former activist in the Irish Republican Army has retired, 18 years after a massive attack, to a reclusive, 90-acre family property. 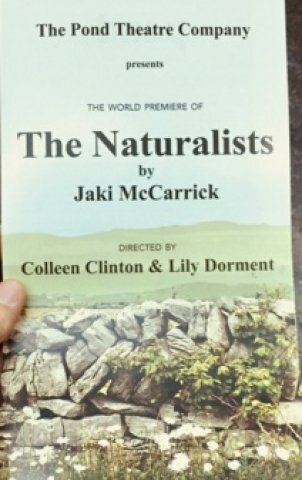 In Jaki McCarrick’s fascinating play, The Naturalists, this tiny terrorist retirement community consists of two brothers who have an edgy relationship. They are joined by a cleaning woman who comes to help, in every imaginable way and then some. The home is Swan’s Cross, known throughout the neighborhood for its beauty. 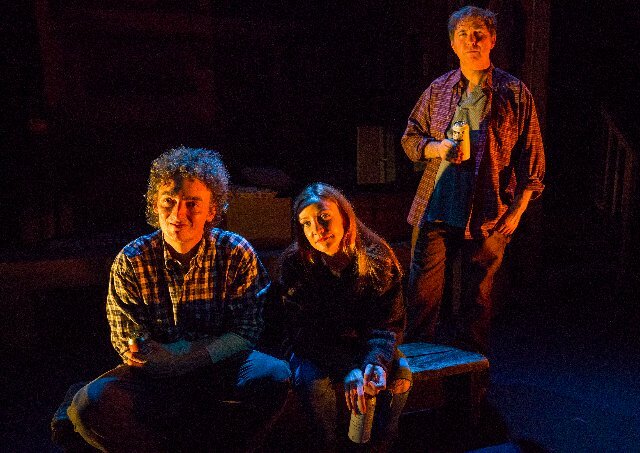 Co-directed by Colleen Clinton and Lily Dorment, a lovely swing between former terrorist Francis’ poetic appreciation of the nature that surrounds them and Billy’s cruder cooking is immediately set up. Billy enters their mobile home and dumps cow dung-covered boots on the floor followed by Francis, who carefully removes his boots before crossing the threshold. Francis seems an unlikely mastermind of mass murder as he regards the natural world about him with deep appreciation. John Keating as Francis is mesmerizing. His delivery is nuanced, shaping a phrase as a singer would, often starting on a high note and then retreating. Whispers are broken up by harsher words. Keating’s familiarity to New York audiences only increases the pleasure of see/hearing him. He perfectly expresses a man who has been stranded inside himself as he emerges to take on a universally-accepted and pacific cause. 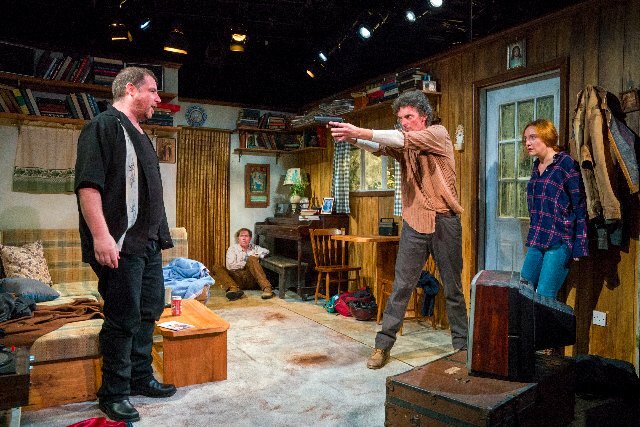 In this play, Keating's voice serves not only to entrance, but to help us understand the play’s arc. Francis masterminded the killing of eighteen men. His troops were charged up by this voice. Now he has forsworn violence and adopted the earth and its beauties. As he speaks about them, his voice draws the natural pictures that have captivated him and then envelope us. 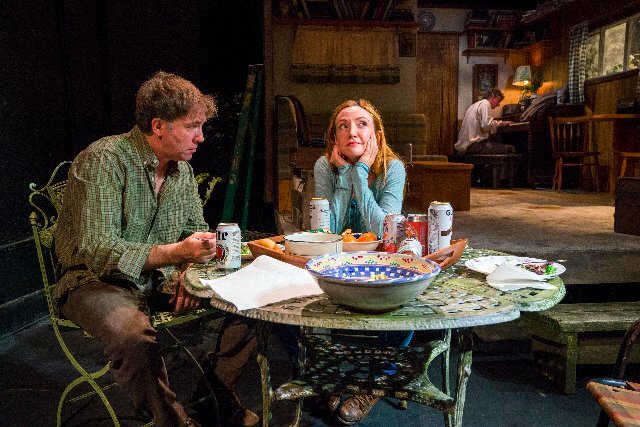 Billy (Tim Ruddy) and Josie (Sarah Sweet) are swept up too until the budding idyll is interrupted. An uninvited guest arrives to disrupt the edgy yet comfortable family group. 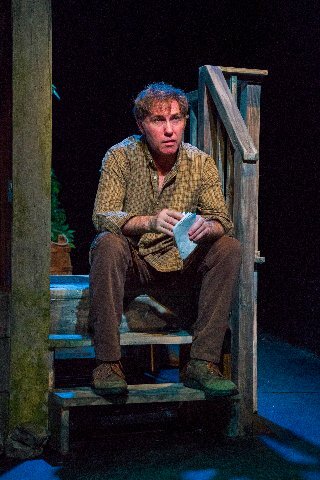 John Joe Doherty (Michael Mellamphy) seeks to take them back to their violent origins. We are by this time rooting for the healing powers of Josie. Both brothers have fallen for her, but seem willing to share in what feels like sibling cooperation. Former violence is put away again in a surprising moment. What will happen when the trio find a new home is unclear. Lighting goes abruptly to blackout and comes back up to indicate the passage of time. This is an extremely effective divider, and emphasizes the harshness of the basic action, softened only by Francis’ appreciation of trees and clouds. The device also echoes the function of the TV’s remote control, a central character in the play. The play is tender, gentle and appreciative of nature. The lilt of the Irish dialect captures the mood of the story and makes the dramatic evening both powerful and beautiful.